Stop wasting valuable time searching and researching WordPress tools to help you grow your blog. I’ve done the hard work for you so you don’t have to. Check out the list below, grab a few of these powerful tools and start building your blogging business like a pro. I can clearly remember the day that I discovered WordPress for myself. And in all honesty, it took me months to find my way around and get used to everything. There was even a time that I considered ditching the WordPress idea altogether. Just so many options and features, and then there’s plugins and themes which really puzzled me. But I think the most thing I struggled with using WordPress was customization. Fast forward to today and I simply couldn’t live without WordPress in my life. Yes, I know that sounds really sad, but, that’s the truth. Both my website and the line of business that I’m in relies on me having access to WordPress. 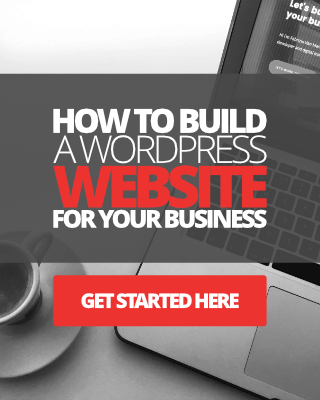 There was a time that I thought I could never master my way around WordPress, but now I’m building every kind of websites imaginable with WordPress. In my humble opinion, it is the best platform out there for building and launching an online business. In the last 9 years of using WordPress, I’ve come across hundreds of various plugins, themes, apps, and extension tools that make WordPress what it is today. Out of the hundreds that I’ve tried using over the years, only a small collection of these tools truly stand out, for me at least. So, today I’m sharing my personal list of ‘must-use’ tools for WordPress. These are the tools that have helped me with the growth of my blogging business, like a true pro! 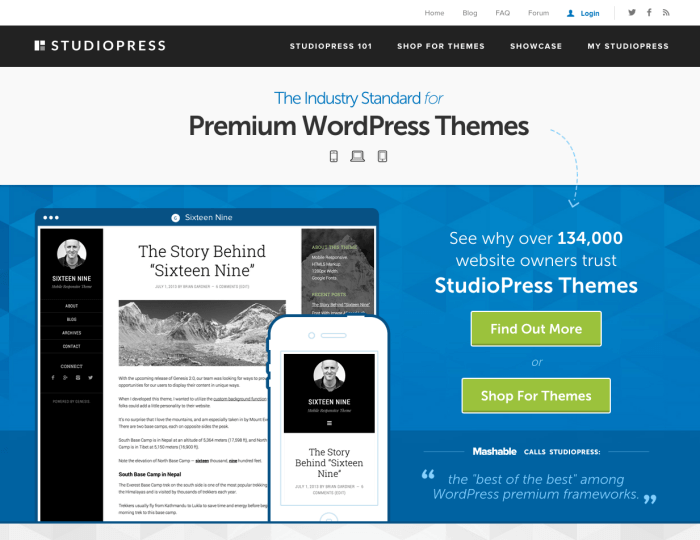 Let’s start with good old WordPress themes. Themes are what makes WordPress websites and blogs unique in their own way. Using a theme is how you define the appearance of your personal brand. Themes come in all shapes, sizes, colors, and styles, and out of all the ones that I’ve used in the last 9 years, only a few theme creators stand out for me. 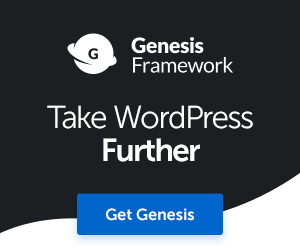 Genesis theme framework 100%, and the other is Thrive Themes. I began using Genesis way back in October of 2010, the same month that I launched my first ever blog. I’ve used Genesis consistently for the last 9 years and experimented with a few others too, but Genesis has always been my primary ‘go to’ theme. Magnet4Blogging has been running on Genesis since 2013. Customizing a Genesis theme is relatively easy. Well, it’s a lot easier than it was back in 2010 and that’s thanks to the Additional CSS box available in the customizer. That being said, it’s still quite challenging to add any advanced customizations, especially for none-savvy users. Of course, there are tools you can use that can help make customization easier, such as Genesis Palette Pro or Themer Pro plugin. Thrive Themes is the other premium theme that I’ve had experience with and would highly recommend. Thrive Themes haven’t been around as long as Genesis or StudioPress, but they are getting increasingly popular every day. 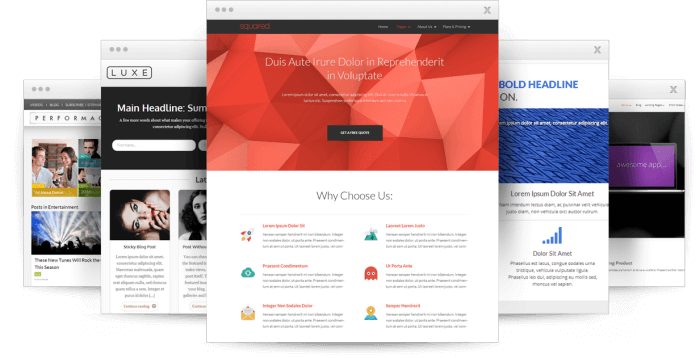 Thrive Themes create more than just themes, they offer a range of conversion optimization and marketing tools and plugins for online businesses. Recommended reading: Review of Thrive Themes Membership here. I have worked on countless client website design projects using Thrive products in the past. When it comes to customization, just like with Genesis, it helps to have some knowledge of CSS. You can play around and add your own custom CSS into the built-in “Custom CSS” box provided, or you can create a stand-alone child theme to use with Thrive Themes. Most of these features and options are built into each theme. Note: Sadly though, and perhaps I should have mentioned this earlier, Thrive are no longer offering its themes to new customers. The themes are being replaced with an all-new, next generation theme builder tool which is currently in the works. I personally cannot wait for this. This list was quite difficult to put together and could have easily been much longer. However, I’ve kept it short because I already have a blog post listing my favorite premium WordPress plugins here. Below I’ve listed the plugins that I truly believe to be professional in every way! 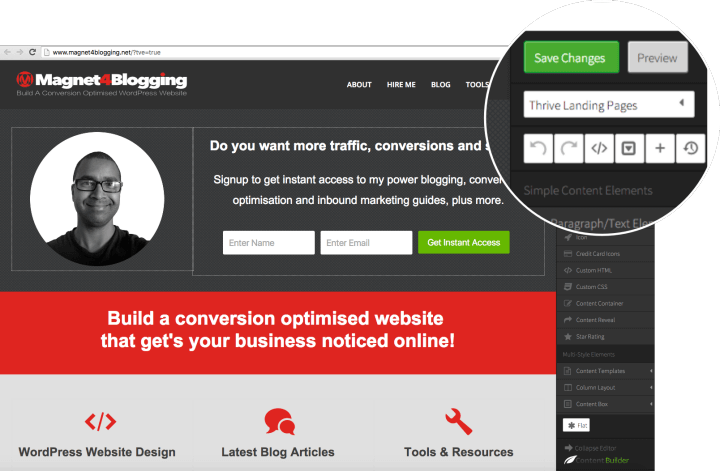 When I first discovered this plugin back in 2015, it was called Thrive Content Builder. It was one of the most exciting plugins to use, and I still love using it today. Thrive Content Builder, in my opinion, was the real game-changer of page builder plugins. I was absolutely blown away by the technology of it, and what I could do with it. Thrive Content Builder, now known as Thrive Architect, is by far the most powerful and complete front end page builder plugins for WordPress. Since its launch, we’ve seen many other front-end page builder tools crop up, but none of them comes remotely close to Thrive Architect. Build custom home landing pages. Design and deploy sales pages. Create conversion focusd email opt-in pages. Create a video landing page and more. I couldn’t recommend this plugin enough. Read: Check out my detailed review of Thrive Architect here. And the trend continues with Thrive, but I won’t talk too much about Thrive Leads as I only recently reviewed it in greater detail here. What I will say is that this plugin is a professional tool for serious bloggers and online business owners. If you’re serious about growing your email list, don’t look at any other tool for this, really. Powerful email opt-in form builder (drag-and-drop builder). Pop-ups with the ability to create 2-step opt-ins. Full control over how your forms behave including Exit Intent feature. Full suite of A/B split testing tools for your opt-in forms. 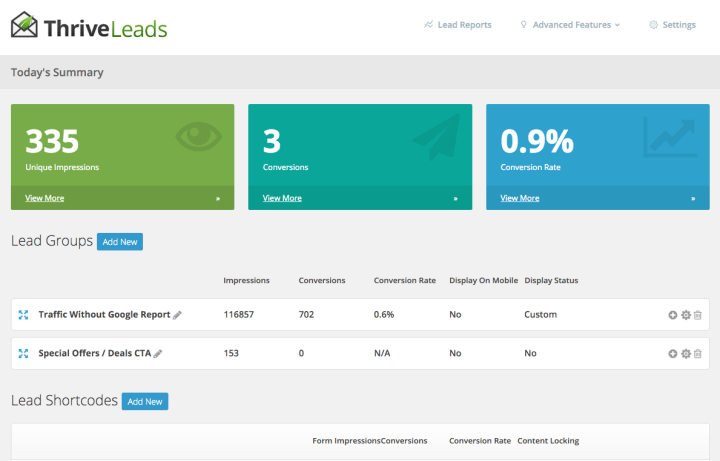 Built-in metrics, content marketing, and analytics, plus much more. Thrive Leads is easily one of the best investments I’ve personally made for my business in the last few years. Read: Check out my list building strategy study post here. Also, check out my walkthrough video of Thrive Leads here. Be warned it’s a good few years old now. 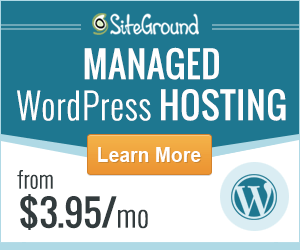 Absolutely no WordPress website should exist without this nifty little plugin installed. I put this on my list here because using LLA over the years has really helped me tackle a lot of unwanted spammy login attempts on my site. The combination of using this plugin and blocking IP’s with a security plugin like WordFence, and you’ll be good to go. 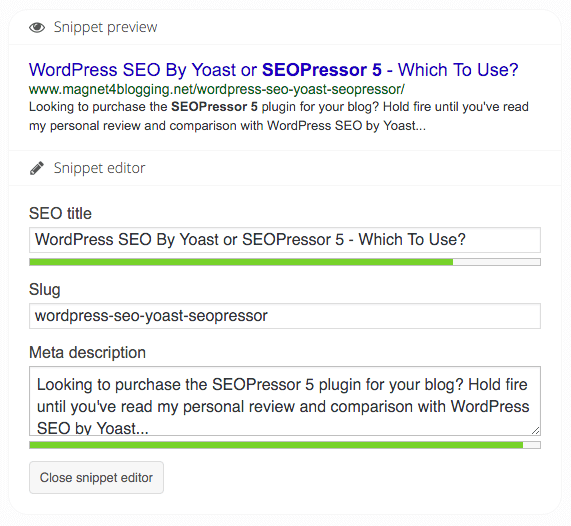 The ultimate SEO plugin for WordPress… period. This plugin comes with lots of on-page options including social media optimization tools, site-wide SEO options, and much more. The biggest plus point of using this plugin is that it’s completely, 100% FREE! There is another plugin that I love to use as well called SEOPressor Connect. Have you heard of it? I use this particular plugin over on my e-commerce art website. You can compare these two SEO plugins here. After many years of using Social Warfare, I decided to stop about six months ago. This was a personal choice due to an updated version of the plugin which came out that I didn’t agree with. Despite this, Social Warfare is still the best of the best social sharing plugins out there, which is why I’ve added it to my list here. SW comes with a host of options including social media optimization tools, blazing fast loading buttons, customizable buttons, click-to-tweet, tweet counts, and more. Social Warfare is free, however, you can purchase the Pro add-on and add more options to the plugin. Recommended: Please check out my full review and tutorial of Social Warfare Plugin here. 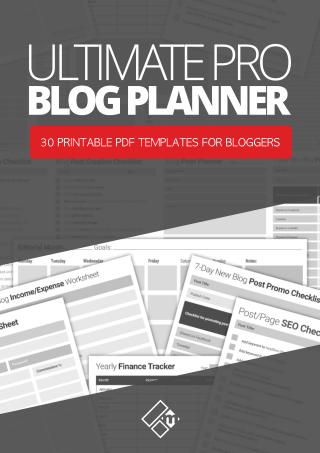 A simple but very practical plugin to help you organize your blog posting schedule. If you run a guest blogging blog, this would be perfect for you. If you’re looking for something with more punch and more scheduling power for your entire online business, check out my post about CoSchedule here. Online services, tools, and apps for bloggers! Right! Now for some of my other favorite online tools, apps and services that simply make using WordPress more pleasurable. You can’t build a successful and profitable blog or online business without using Google Analytics. 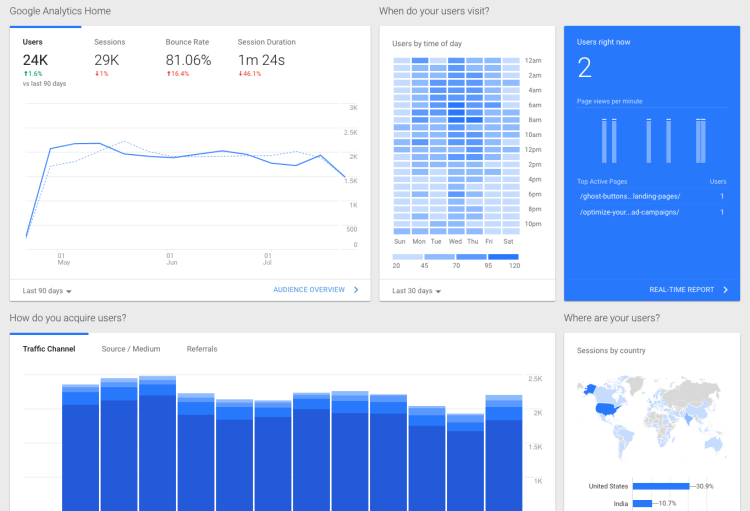 Google Analytics is free and great for keeping tabs on traffic, visitor behavior, bounce rate, visitor time on site, as well as setting up conversion goals. Want to blog like a pro? Then don’t forget to build your email list, and for this, I recommend using MailChimp. In my humble opinion, MailChimp is simply the best and most cost-effective email marketing service provider available for bloggers and small businesses. If you’re just starting out, I would recommend using MailChimp, as it is free for up to 2,000 subscribers. In addition, if you use the Thrive Leads list building plugin I mentioned earlier, integrating MailChimp couldn’t be easier. Read this: How to set up MailChimp with Thrive Leads using API Connection. Every blogger should have a Google Webmaster account. Well, at least that’s what I think. The webmaster toolbox contains essential tools and features that will help you get a better understanding of what’s going on with your website, health, and performance. If you have too many 404 error pages on your website, for example, your webmaster console will have that information and you can use it to identify those pages and fix them. If your website has a manual action or penalty applied to it, that information will also be available in your webmaster account. LTP is a powerful and useful tool for helping you do some good old fashioned keyword research. Keyword research is essential for blog traffic growth, and I love to use the Long Tail Pro to find and research keywords for my blog posts. It’s quick and simple. This is one tool that I use quite often when working on client projects and my own personal projects too, of course. If your website is taking too long to load, you need to know about it. A slow loading website affects a lot of things, search engine rankings and most importantly user experience and conversion rates. 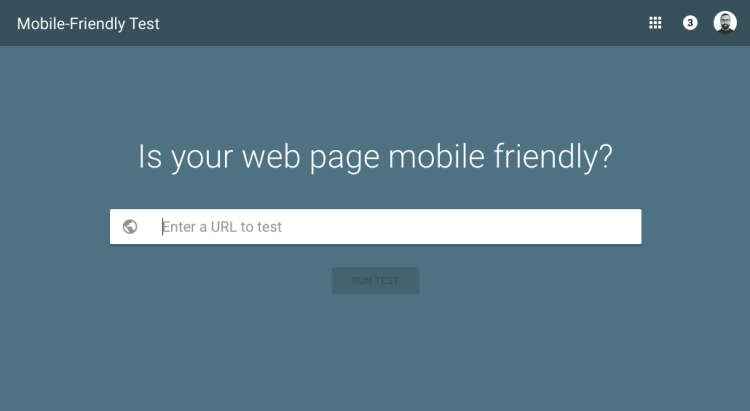 Use Google PageSpeed Insights tool, and the mobile-friendly test tool to check your site frequently. So, folks, that’s it! That’s my personal list of pro WordPress tools and other various useful online tools, apps, and services I like to use in my business. Some of these you’ll be familiar with, no doubt, but I’m sure there are a few here that you’re yet to discover and use. Many of the tools I’ve mentioned above are free to use. Some, however, offer premium options. Here’s my disclaimer should you need to read it. Affiliate disclaimer: Some of the links in this post are affiliate links. This means if you click on one of them and make a purchase of a product or service, I will be paid a small commission. This comes at NO additional cost to you, of course. If you do use my affiliate links, I would like to thank you for your continued support! I truly appreciate you. I also want you to know that I NEVER use or recommend tools or services that I do not trust. Hope these will keep you busy for now, have fun exploring. Thanks so much for showing us about Thrive. The features look great to keep track of traffic. I like the Lead Groups with the opt-in forms that can track of groups and which can give a better conversion rate. I also like the “Trigger” form that can be used. Your video is a wonderful walk through that makes it so easy to understand. When It comes to my blog an adding plugins, I never do it myself, but send the information to my “blog guy” as I call him who takes care of everything on the back end. I have to run this by him. As for the other plugins, I use Yoast, Limited Login Attempts – I get so much of that! And of course Dig Dig. Thanks so much for this information and video you have shared! I’ll spread the word. Hi Donna, thanks for your visit. The Thrive Leads plugins tops my list of best plugins I’ve purchased this year by far. Shane and his team have really put in a lot of thought into this one. It’s such a powerful tool and one that simply can’t be ignored by serious list builder I think. Hey lucky you having a blogging guy to do all the back end stuff, I think I need one of them to free up some of my time lol. Now I feel like a kid in a candy store LOL ! You have mentioned a lot of great tools. Some I’ve heard of but the majority I haven’t. But one thing is for sure is that thrive leads is really on point! I started using it about 3 weeks ago as you already know and I too am very impressed with it. Even better I’ve had no problem with it on my blog compared to others that I’ve installed. I’m still playing around with it but I really love the A/B test features. Besides that I really got to come back and take a really good look at the other tools you mentioned. There were a couple that caught my eye! Thanks for the share and you have a great rest of the week! Hi Sherman, thanks for checking out my resource list, all of these tools have been really useful for me. I’m so glad you’re enjoying the Thrive Leads plugin, I tell you this thing is going to be a winner for bloggers, I’ve had no problems using it either. I’m currently running A/B testing on my ribbon opt-in form, getting some really interesting data, I’ll be writing a post about it in the coming weeks. The other plugin I’d recommend if you haven’t checked it out that is, is the Better Links Pro plugin, if you promote any affiliate products or services on your blog, this plugin has some really cool features like tracking and analytics integration etc. When I said I wouldn’t be investing in any more tools for my site recently, I’ve been doing completely the opposite lol. Another plugin I’m interested in investing in is Gravity Forms, not sure if you’ve come across that one. Anyway, thanks for stopping by mate as always. Wow, Fabrizio! That’s a lot of tools. Of course, it all kind of creeps up on you. I’m glad they help you. I went the opposite way and removed most of my plugins. Wow, you’ve got some great tools listed here and I always enjoy hearing what other people use. As you know I’m looking to change themes and the Thrive one is the one I’ve seen a few times that to me is the most attractive. I can spot a Genesis theme a mile away, everyone has it which is another reason I don’t want to go that route. I may or may not have a theme custom made, not sure about that yet but I do have one question for you. You know me, always eager to learn more. Why would you need the Thrive Content Builder or Visual Editor plugin to build your pages? I would think a landing page would be different but that worries me that you can’t create something that looks nice without having this addition. I just don’t want to have to buy two, three or four more plugins to make the darn thing look or function better. That’s my concern but I am still considering their lead plugin. Just want to make this particular move first. By the way, I saw a tweet that Sherryl shared today about a vulnerability with SEO Yoast’s plugin. I don’t use it so I wasn’t as concerned but you might want to look into that my friend. I would hate for anything to affect you or your blog. Thanks Fabrizio for this great post and for your suggestions. As you can see, we take this to heart and I look forward to you answering my many questions again. Thank you for that too. Hi Adrienne, yes I read your post about rebranding yourself, but I haven’t got round to commenting because the moment I went to do it, I got called away in the offline world lol. I decided to get away from Genesis for the very reason that everyone is using them. If you were able to customise a child theme to the point where it would be completely unique then that would be great. Thrive on the other hand are making a lot of noise, and I’m really excited for them. Now to answer your question as to why would you need the content builder plugin in addition? Now do you think I would have been able to build a custom page like this using the bulk standard ‘prehistoric’ editor within WordPress? lol. Probably yes, if I was a coding wizard and if I had hours and hours to dedicate to creating such a page like this. The content builder plugin takes all of those things away. I created this page within 40 minutes literally. Basically the content builder plugin allows you to create custom pages with a lot of elements at your finger tips, I’m talking about content columns, pricing tables, testimonial boxes, nice buy it now buttons, opt-in boxes, custom menus, call-to-action boxes, responsive videos, background images and so much more, all with a click of the mouse. Now there’s nothing wrong with the simple landing page built using the editor in WordPress, but trying to make it attractive by adding all of those elements, and trying to optimise it to convert the best it can would be almost impossible, like I said unless you were a developer yourself. As for the Yoast Plugin thanks for the heads up but I was onto it the moment it was announced, my backup provider BlogVault notified me immediately 🙂 Over 1 million peeps use this plugin I think. Take it easy Adrienne, if I can answer any more questions please fire away. Hi Fabrizio, thanks for an interesting pack of plugins and services! If you are interested to try it, just contact me please, I’ll create a free coupon for you. Or if you will support us by post, let’s create a special discount for your subscribers. Hi Alexey I’ll take a look and let you know what I think, thanks for the heads up. really. Informative and useful for all the bloggers out there. Hi Nisha, thanks and a warm welcome to my blog. You’ve got to love the Limit Login Attempts yeah this plugin saves my bacon on many occasions. Hope some of these will come to great use for you. This is a great roundup of tools that you are personally using – you can’t beat that kind of review! I’m a big fan of all things Thrive and I must say I like the way you have used the Pressive Theme here. I’m familiar with most of these tools but there are a couple of new ones for me to investigate: P3 Plugin Profiler and Monitor Backlinks, so thanks for introducing me to those. I have been using many of them you mentioned but few are still very new to me. I have to check them out. P3 Profiler is indeed the greatest plugin I ever encountered with. It just works great. Thanks for the list.